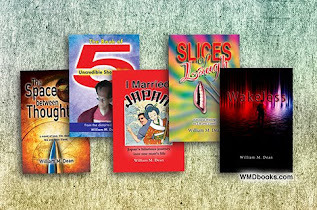 I’m Still a Canadian Author… Aren’t I? Because I'm the publisher of my book as well as the writer, I have to make some troubling decisions that people like Stephen King and John Grisham do not. One of these is to decide the style of spelling and grammar to be used in my book. 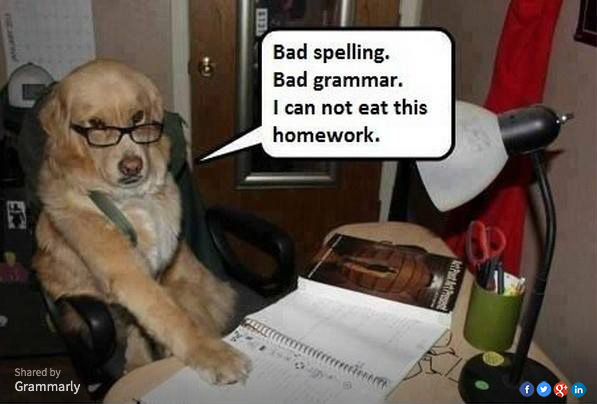 I decided on American spelling and adhering to the Chicago Manual of Grammatical Style. Regardless of your stand on grammar and spelling, this combo is the current industry standard. Adopting it maximizes the novel’s customer base. If I’d wanted to be the author of a book that was rarely read, I wouldn’t have spent thousands of dollars in having it published. Adhering to the popular standard was an easy business decision. However, it meant going against more than 50 years of training as well as my literary heritage. And altering "neighbour" to "neighbor"and "calibre" to "caliber" was a surprisingly disturbing process. It felt like intentionally introducing hundreds of typos into text that took years to perfect. But this was the thin edge of the wedge. The editors at iUniverse (my self-publishing platform) did all the heavy lifting in the change-over. Once they got a hold of the manuscript commas moved or disappeared, italics and em-dashes were altered on practically every line. When they returned the first round of edits, I was faced with more than 1300 individual changes to approve! It’s interesting to note that the very first instance in which I had to get used to American spelling was in the early 1980’s. And it happened, not because I was into writing, but because I was into computers. At that time, computer power was basically restricted by computer memory and storage. It was measured in kilobytes (~1000 characters) as opposed to the current common standard of Megabytes (~1,000,000 characters!) My first computer was a Commodore VIC-20 and at that time, there was almost no software for it. Users had to type commands in BASIC programming language to make it perform. Every user was a programmer. Anyway, with the emergence of personal computers originating in the US, American English was being forced upon the rest of the world. I recall a lot of articles railing against the American spelling embedded in the programming languages. Though how you can defend English spelling of any kind, I’m not sure. It’s such an amalgam of contributed words that I think the exceptions outweigh the rules. 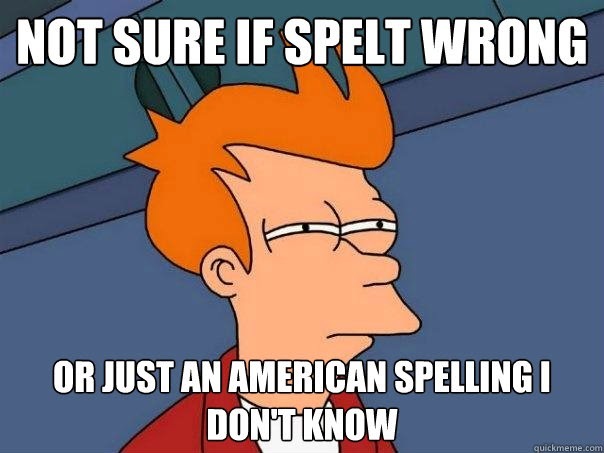 I find it interesting, though, that one of the reasons American spelling won the contest was rooted in efficiency. Since storage was such an issue, saving one character in a word was important. The word “colour” was 6 bytes but “Color” was only 5… a 17% savings in memory space. Too much to disregard, at the time. I remember meetings at Beautiful British Columbia Magazine — a very Canadian publication — where arguments ensued over the fact that all our computerized subscriber system used exclusively American spelling because we needed to save memory, which many felt was hypocritical as our magazine stringently adhered to Canadian. Languages are ever-changing because they are defined, not by the dictionary, but by people speaking. The Dictionary simply records common usage. Don’t believe me? Well, then check Merriam-Webster which recently added the word, “Selfie.” The word “Doh!” is also in there, added due to Homer Simpson’s popularity. While dictionaries record the individual words, other references chronicle the proper organization of those words. These are known as grammatical style manuals. The Chicago Manual of Style is the one most editors adhere to, these days. It’s published by the University of Chicago and is, currently, the go-to reference for popular fiction. I have the University of Chicago to thank for those 1300-plus alterations to my manuscript. So having joined the flock, is my identity in crisis? A part of me finds it all disturbing. But I think having things my way is a right I have to earn. I’m sure that even Stephen King did not call the shots on his first published novel. Perhaps on my tenth NY-Times best-selling novel, my followers will have enough faith in me that I can revert to my native language.